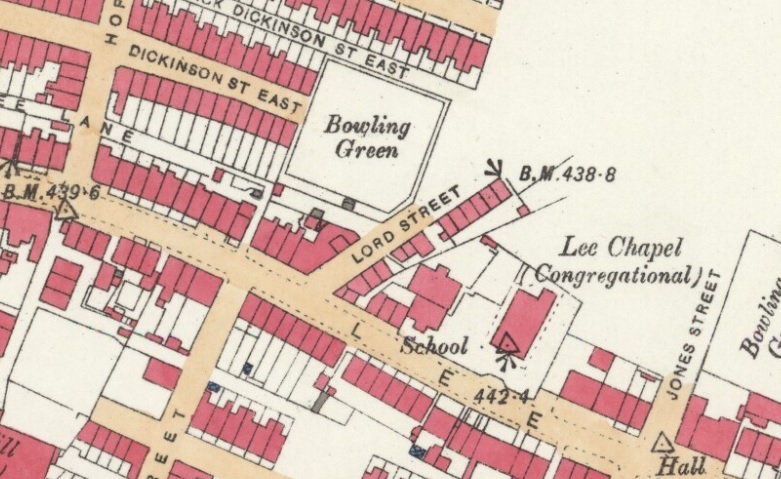 Built in the late 1840s the Bowling Green was aptly named due to its the large crown green behind the pub; it sits in a prominent position on the corner of Lee Lane and Lord Street. You can see from the 1845 map below that it wasn't built at that time but subsequent records confirm it was built shortly afterwards. 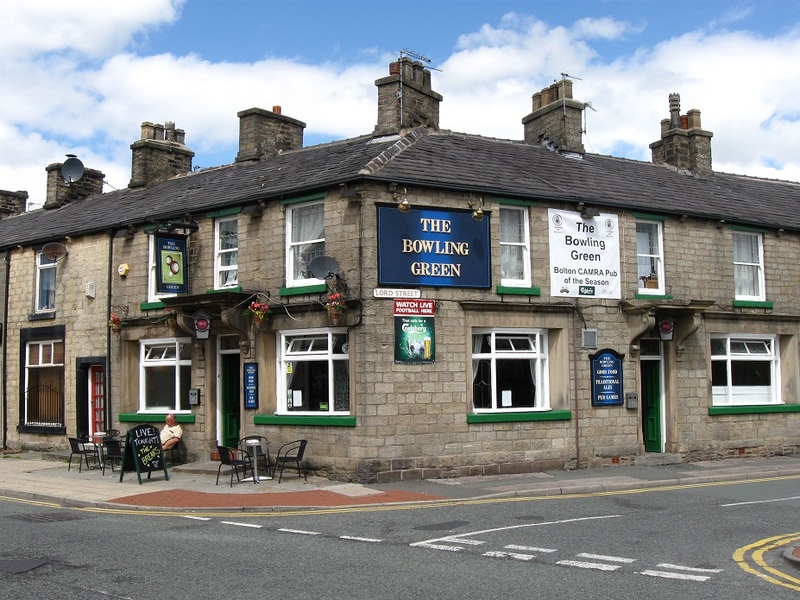 The bowling green behind the pub was a popular attraction for many years and it was only in the second half of the 20th century that it finally gave way to development in the form of Rivington House, an assisted living residential property. 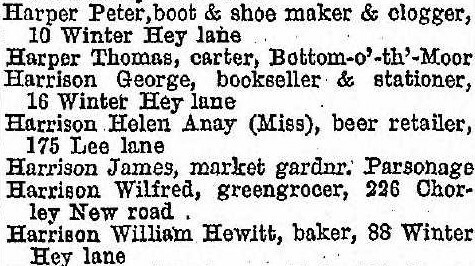 Listed landlords were Joseph Beddows (1851), John Harrison (1861-90), Ellen Harrison (1891-93), Ellen Anay Harrison (1893-34) and Nicola Ann Monks (2012). 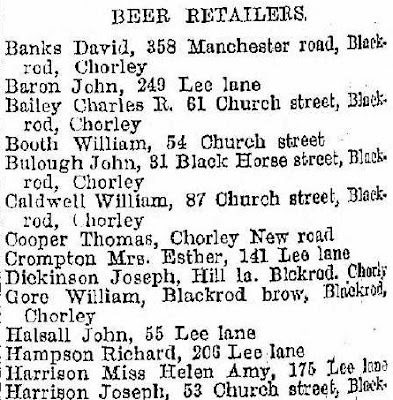 The earliest landlord was Joseph Beddows, a brewer by trade and as the 1851 census above records he and his family, including his nephew Andrew Beddows who was working for Joseph as a brewer's labourer were living on Lee Lane at the Chorley Tavern. Ten years later the business was more firmly established with John Harrison running the Inn, now know as the Bowling Green Inn and Andrew Beddows, the brewer was living next door. Things remained the same for the next ten years or so and the Harrison family continued to run the business. 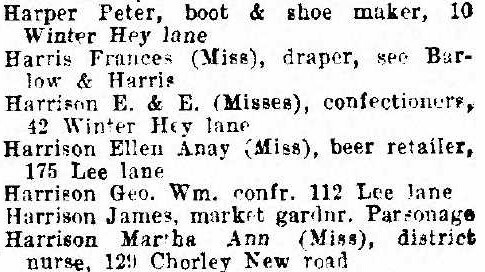 Following John Harrison's death in 1890 after 30 years running the tavern his widow Ellen was to take over only to die herself in 1893, which left their daughter Ellen Anay Harrison in sole charge behind the bar, where she remained for the next forty years, making her the longest standing landlord at the Bowling Green. 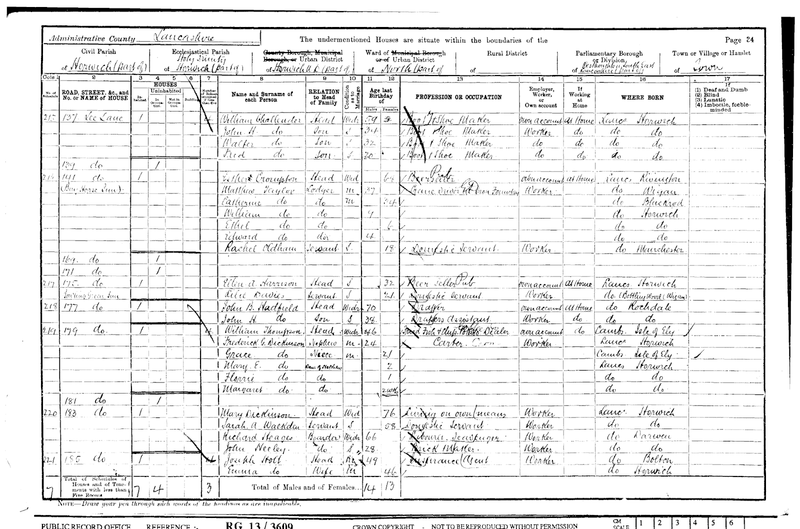 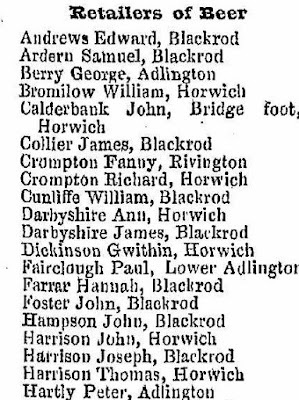 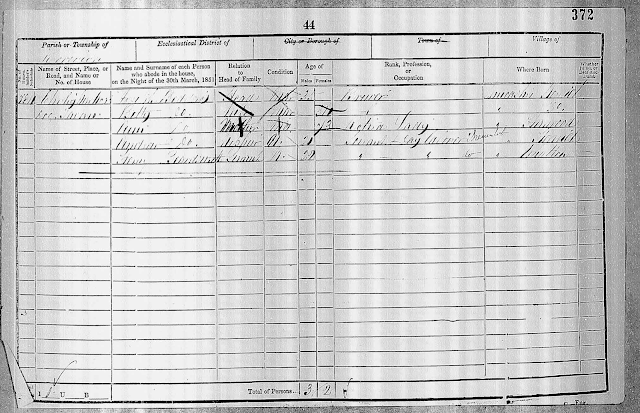 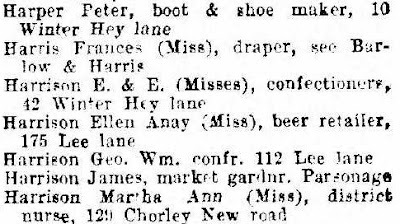 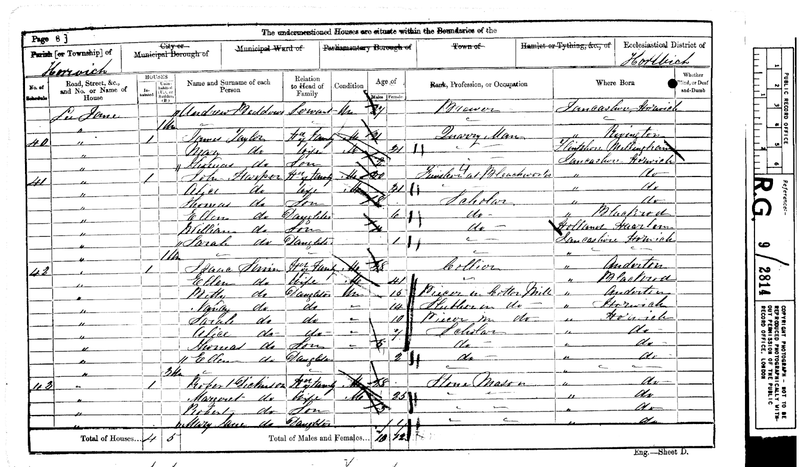 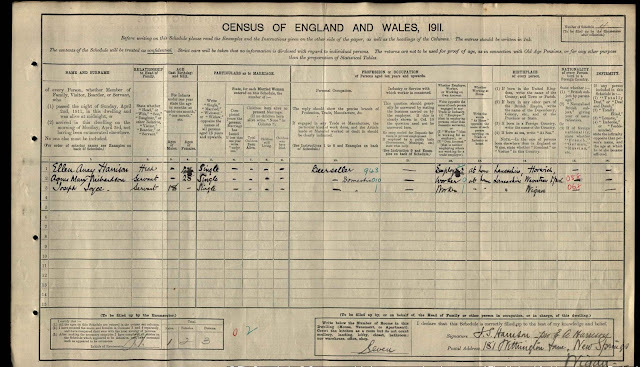 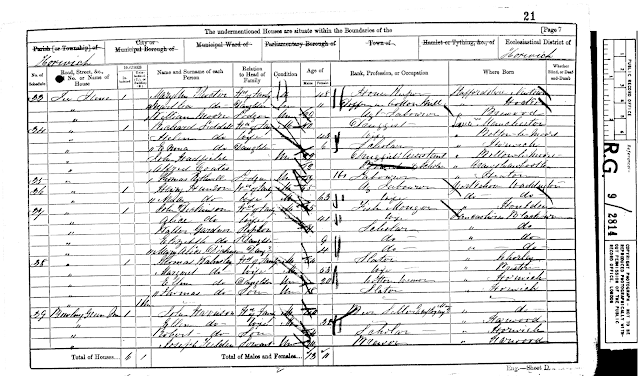 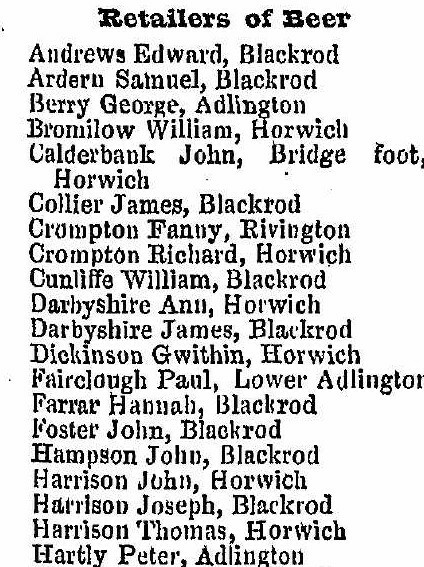 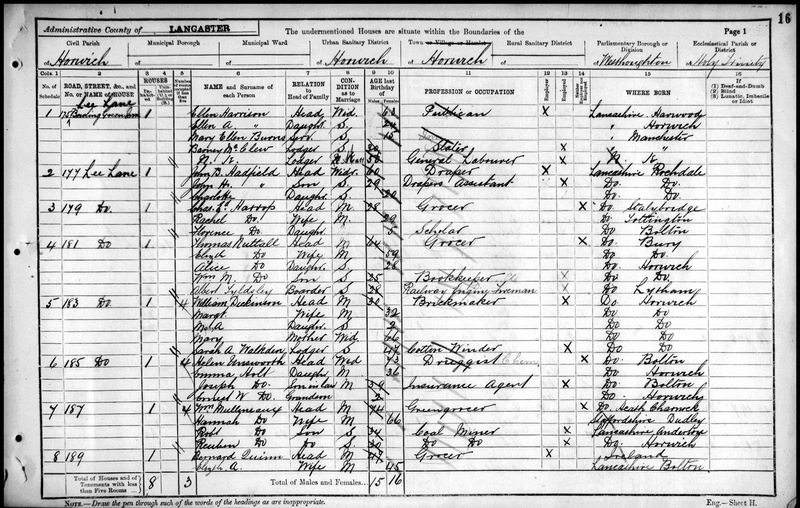 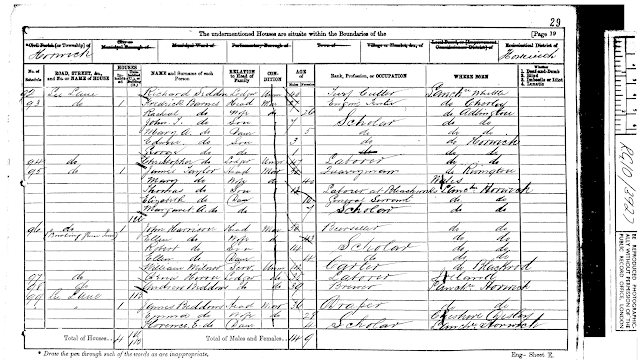 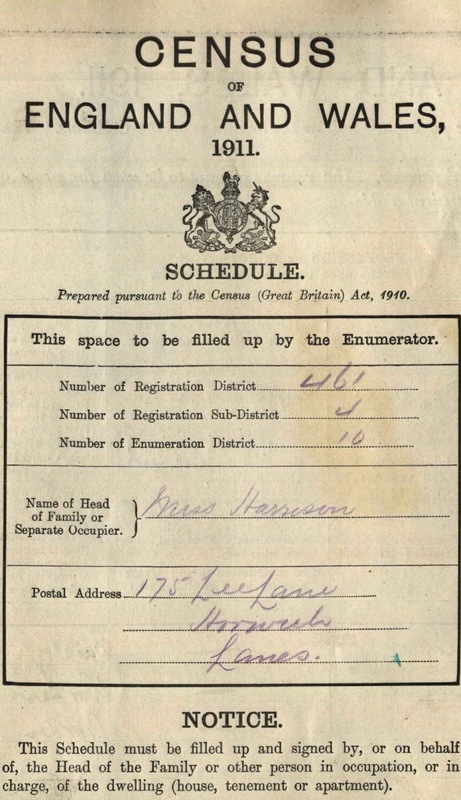 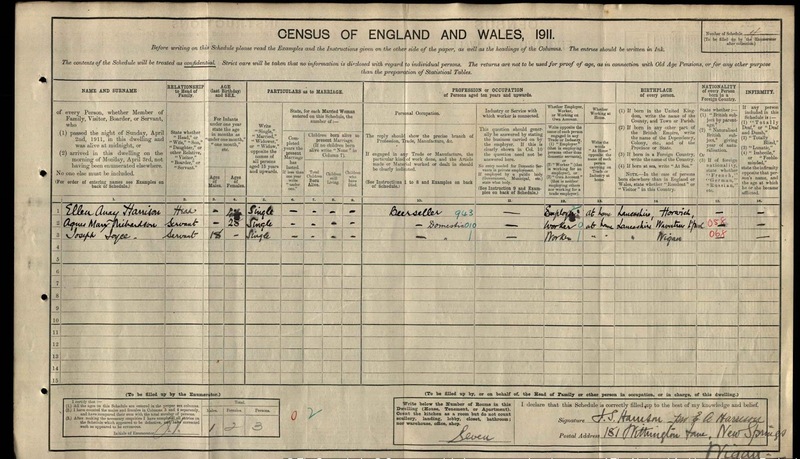 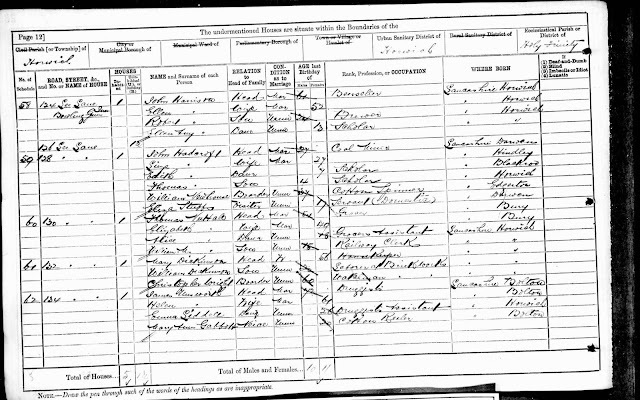 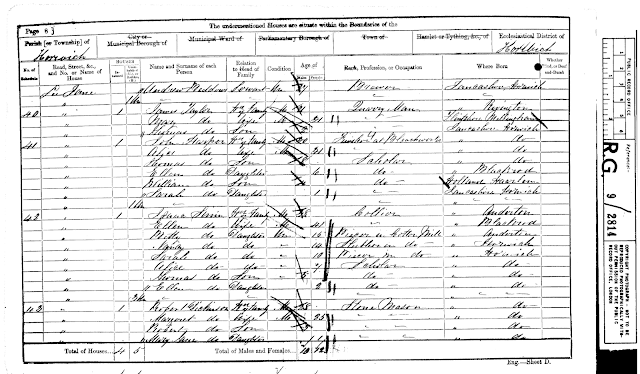 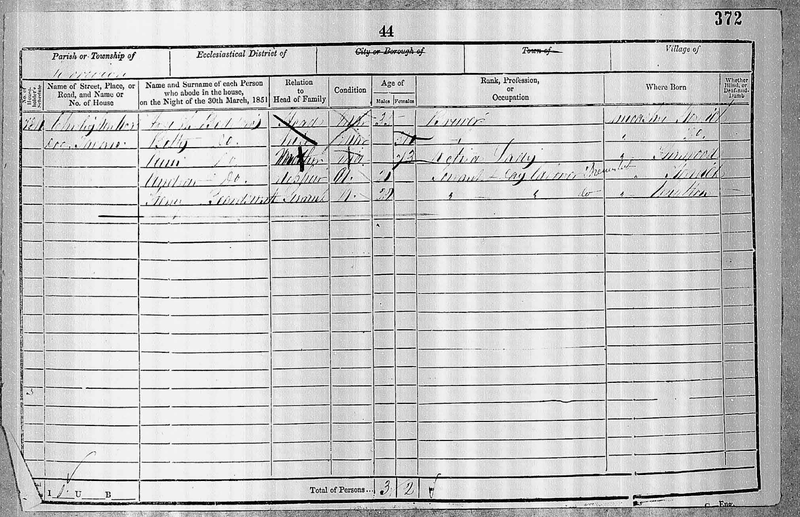 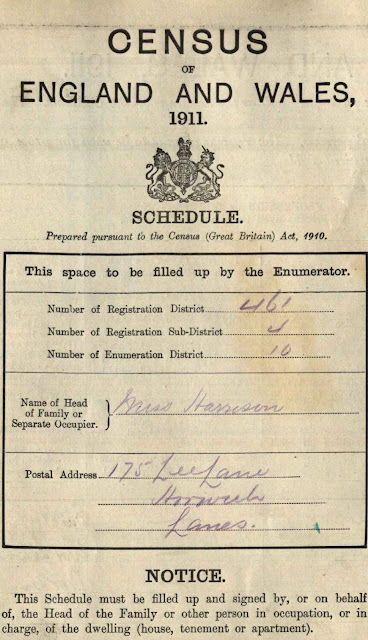 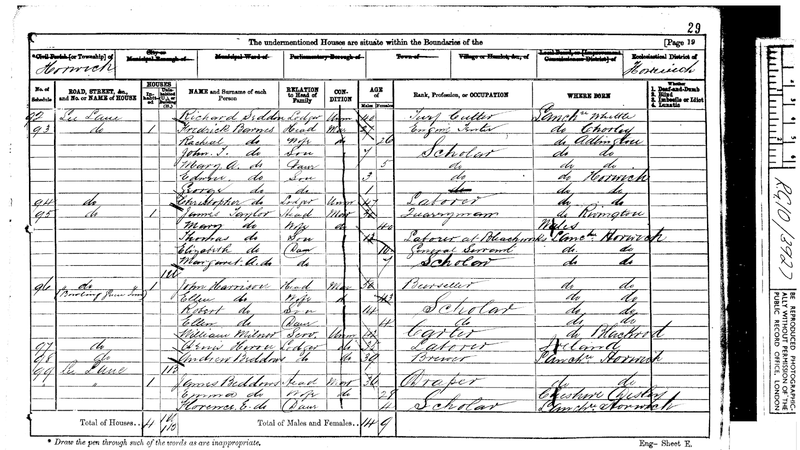 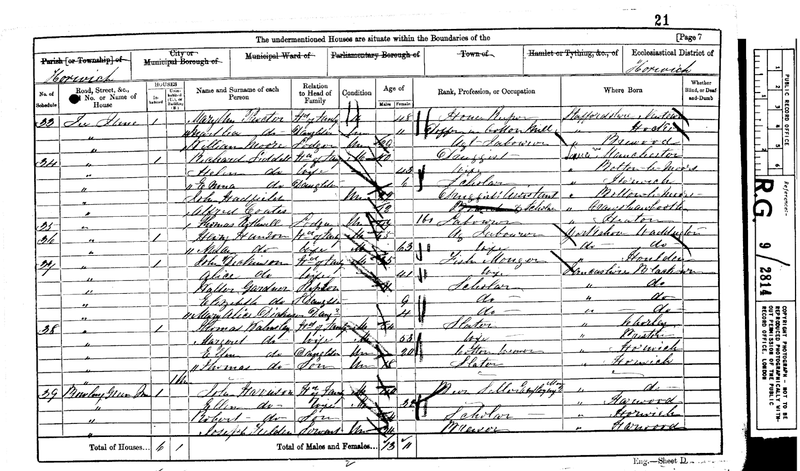 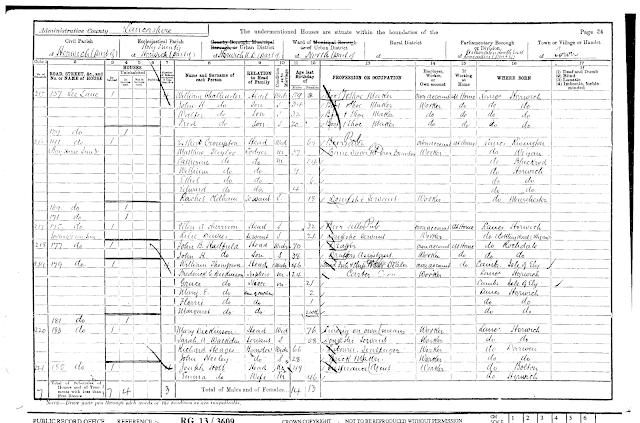 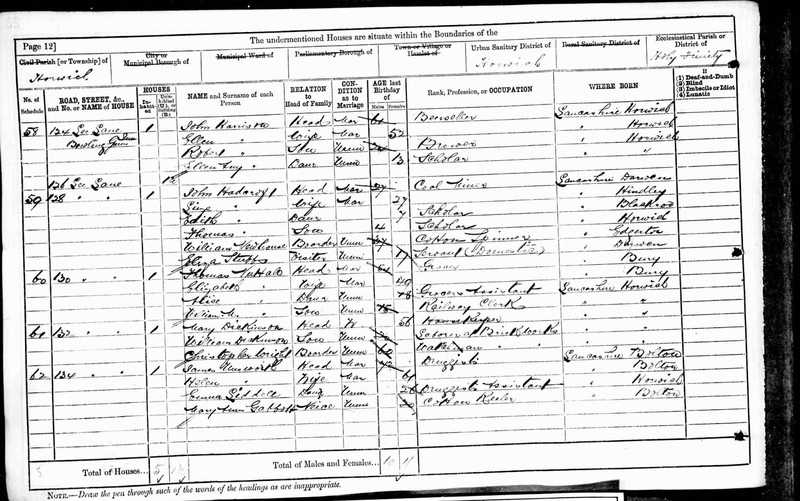 There is a strange anomaly on the 1911 Census where Ellen Anay Harrison was still running the Bowling Green at 175 Lee Lane but the actual enumerator records records a Mr J S Harrison for E A Harrison at 181 Withington Lane, New Springs, Wigan. 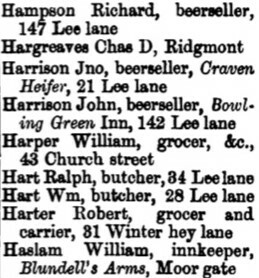 This was the home address of Ellen's brother, Robert Harrison, who by this stage was running the Top Lock public house in New Springs. 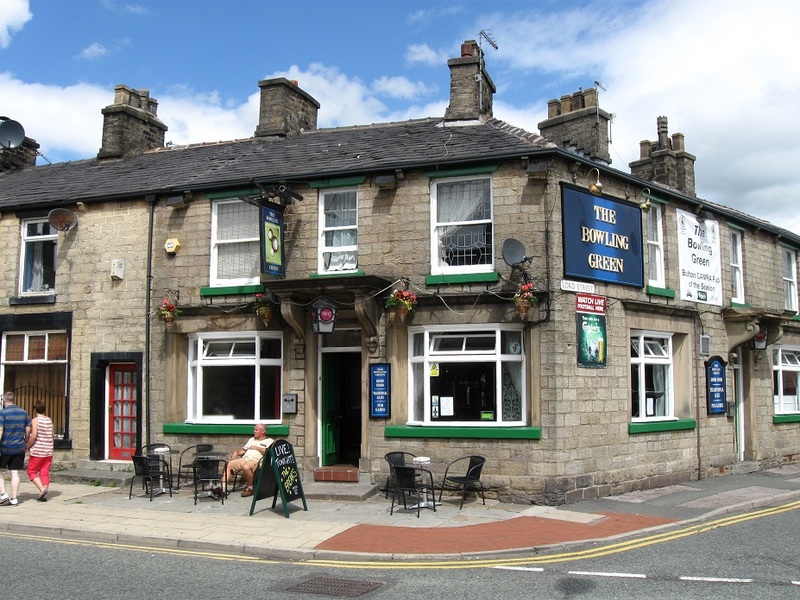 Popular pub the Bowling Green, Horwich, added to Campaign For Real Ale’s (CAMRA) list of historic drinking places. 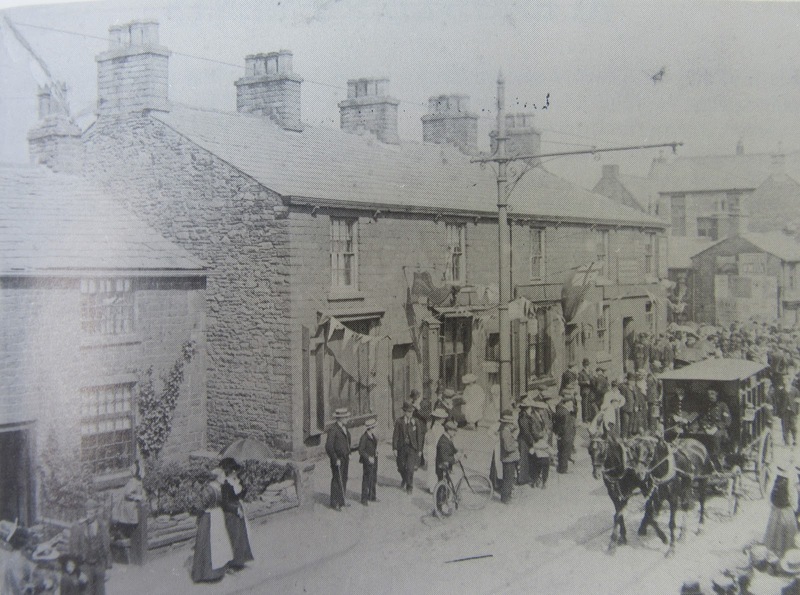 A popular pub has been added to the Campaign For Real Ale’s (CAMRA) list of historic drinking places. The Bowling Green in Horwich was placed on the prestigious list for its “historic pub interior”, which is described on CAMRA’s website as having “some regional importance”. 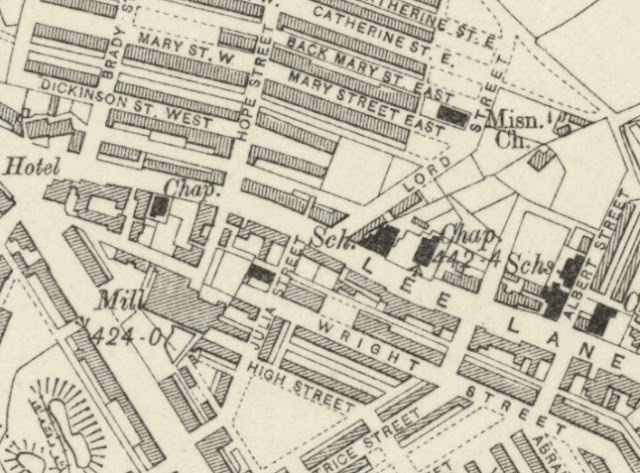 The pub in Lee Lane was thought to have long catered for local bowlers, particularly towards the end of the Victorian era. 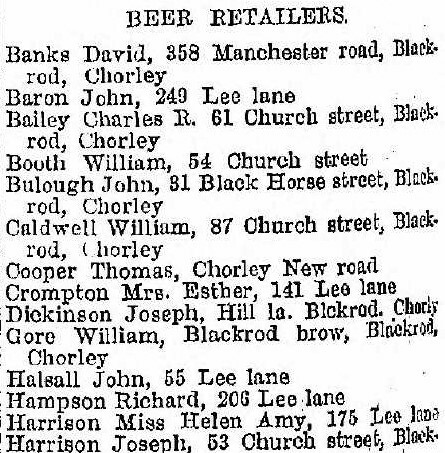 For more go to camra.org.uk.